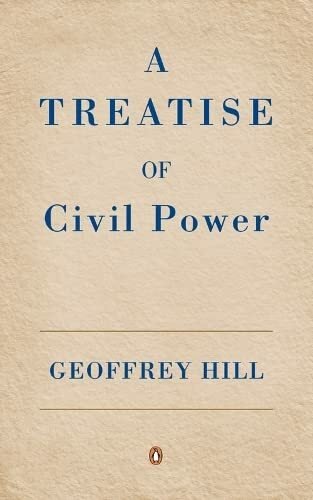 Geoffrey Hill’s latest collection takes its title from a pamphlet by Milton of 1659 that attacks the concept of a state church as well as corruption in church governance. As Milton figures prominently here, so too must the Lord Protector, Cromwell, addressed in a memorable sonnet sequence. Also considered by Hill are other poets to whom he nods in gratitude, not just Milton and my god” Ben Jonson, or Robert Herrick, or William Blake, but also Robert Lowell and, perhaps most interestingly, John Berryman, whose Dream Songs haunts this present collection. Here we again confront the poet’s familiar obsessionslanguage, governance, war, politics, the contemporary and classical worlds, and the nature of poetry itself. 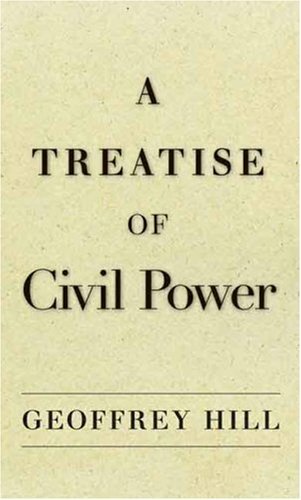 John Hollander writes of Hill’s poems that they immerse themselves in the matters of stones and rock, of permanence and historical change, martyrdoms and mockeries, and above all history and the monuments and residua of its consequences in places, things, and persons.”A Treatise of Civil Power is the work of a major poet at the height of his powers. 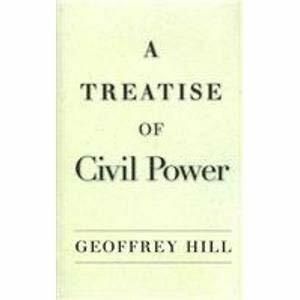 Born in Bromsgrove, Worcestershire, in 1932, Geoffrey Hill is the author of three books of criticism and twelve books of poetry, includingThe Triumph of Love, co-winner of the Heinemann Award. His previous collection,Without Title, is published by Yale University Press.